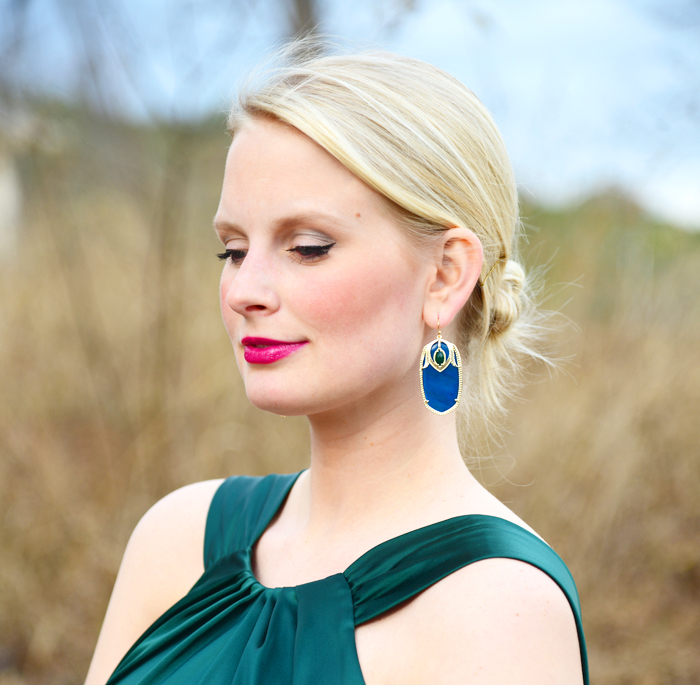 There’s something about jewel tones that gets me in the party mood! A few weeks ago I attended a dinner party and wore this ensemble. I planned to wear the dress by itself, but wanted to make the look standout, so I added this Kenzo skirt for some added texture (looks like peplum, no?). I love being innovative with my clothes – I definitely get more wear out of them! What pieces have you used in multiple ways? These photos are absolutely stunning. I love the jewel tones. You wear them so well. Such a good idea-the skirt does look like a peplum! I love that bar ring-I need to purchase! :) Your blog is absolutely fabulous-just became a member/follower of your blog on Bloglovin. I hope you’ll follow me back and we can keep in touch. Happy Blogging!!! You look so gorgeous! I adore the rich jewel tones and how vibrant they are! Happy new year! LOVE this emerald green on you. Such a beautiful look!